I know, I know--I'm amazing. I figured out a way to streamline the process of making Millionaire's shortbread by employing sugar cookie dough from the refrigerated tube. I win at life! 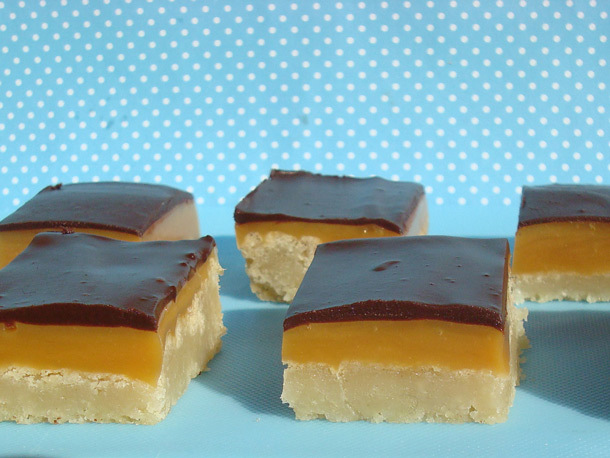 This easy Millionaire's shortbread recipe comes together quickly, and tastes awesome. How could it not--it has all of the major food groups: cookie, caramel, and chocolate! I strongly suggest you give it a try. Recipe here.